There's been a lot of heated discussion in the outsourcing industry of late regarding the issue of lists, rankings, awards and proclamations of vendors, advisors, tought-leaders etc. As per expected, emotions are strained when some come out looking good, and some not-so-good. However, with such a ramshackle swirl of information out there... from consultants, media, bloggers, analysts, associations, researchers, there has never been a more critical need for the ultimate target - the buyer - to have balanced, unbiased and accurate information and advice. The real issue here is that rankings or "best of" lists are only as valuable as the rigor and independence of the evaluation methodology. In May 2006, I published an article in Global Services magazine called “The Book of Lists.” A series of events drove me to take up a pen; I had recently served as a judge on several rankings, and had been amused that I was personally ranked a “superstar” on a list in a category that I in no way, shape or form could be termed an expert, even by my father who thought me a wunderkind. The article seemed to have been overlooked by the chattering classes. I got no feedback and relegated the topic to my personal annals, thinking, “there I go again—seeing disconnects where no one else does.” And subsequently moving to the provider bench, I experienced the full force of “list mania;” the requests for lists and rankings were incessant, but I grumbled privately as I pushed my team to find the most arcane of data for every inquiry, concerned that missing the submission of even one application was the ultimate of marketing faux pas. Now, two years later, the industry is all abuzz on the topic of lists. So I went back to that article to see if it still was relevant. I think it is. Two years ago, I wrote about those determined to grab onto the global services delivery trend by pronouncing the definitive judgment on the industry’s best and brightest providers and individuals, identifying the latest trend or dimensioning the marketplace. And I found, after reviewing what was then a relatively small group of list makers caught in the act, that, one list’s number four was another’s number 26. If in the variations within any crop of “global,” “best,” “emerging” and “top” service providers or advisors is any indication, beauty is definitely in the eye of the beholder. And what is magic about being in the top 100 or five or 10 in a market as big and diverse as our global services industry? We generally acknowledge the usefulness of lists. Lists give us a simple framework to evaluate relativity and test importance in an increasingly complex world. They can serve as an elegant communication tool by allowing us to compare, contrast, and prioritize a range of factors and opinions. But faced with all these lists, what is the business line sponsor or the corporate sourcing staff to think? Are these lists bogus exercises or helpful tools to evaluate the supply side of the services-delivery equation? What do the lists tell us? First and foremost, independent provider and advisor lists serve as a good public barometer of brand recognition and a market reflection of image in a relatively immature industry without one industry-wide voice, unlike the Royal Institute of Chartered Architects, or the American Medical Association. They are used as stand-in as the services industry’s only current broad indicator of brand value. As the industry matures, the use of scientifically-constructed and tested brand indices should become more common; however, at this juncture in services evolution, it’s about all we have to rely upon. Provider claims of excellence or advisor claims of differentiated methodology can sometimes be supported by the independent opinion of third party lists, especially if the industry’s best and brightest are sitting judgment. While ranked lists are by no means scientific or purportedly meant as an endorsement, they are often used in collateral to provide seeming accreditation in an industry that has no common, recognized standards of excellence of its own at this point in its evolution. Lists can uncover market trends. At their most useful, list makers may be comprised of industry watchers — journalists, consultants, advisors, buyers and academics — who look closely and thoughtfully at the applicants, trying to isolate new trends in service provision or employee management, allowing them to determine whether certain offerings are finally ready to meet with market acceptance. Lists are also a gauge of marketing prowess. Honest list evaluators privately admit that the completeness of the applications and the quality of presentation, not to mention grammar, weigh heavily in the evaluation process. The ability to succinctly communicate a value proposition to industry insiders may be a good test of market positioning and messaging. If the insider gets the proposition, chances are that the marketplace might just understand the message, too. And for those lists that are styled as vox populi? Well, those are a reflection of marketing prowess, too. Some of us on the sell-side have the time and the wherewithal to focus on getting our clients and friends to answer questionnaires. Lists both influence and reflect current industry values. Size and scale seem to matter. It appears that there is a direct correlation between service provider or adviser size and relative ranking on most of the lists, which include a best category, or are ordinal in evaluation. Over time, as provider and advisor track records become more transparent, and the industry really centers on what is a value proposition or whether the advisor’s deal was really well structured, rankings may imply other values. Emerging offerings may first reach the buyer’s attention through the list process. As a relatively easy marketing and inexpensive marketing exercise, emerging or stage one outsourcers or advisors can avail themselves of an opportunity to broadcast the news of their process innovation or new approaches to delivery, judges permitting. Over time, lists can serve as a good indication of the maturity of the marketplace. As new entrants and new offerings enter the marketplace, lists serve as a good archive of marketplace movement and development year-on-year. Over time, call it the ancestry.com database for the industry. What Don’t the Lists Tell Us? Read the methodological fine print if it is available. Although the data points evaluated may be substantial, not all lists are formulated based on the same or consistent level of rigor. Consider factors of sample size, statistical application, and criteria weighting. And realize that, human nature being what it is, each evaluator will bring his own personal biases for certain delivery strategies, provider profiles and approaches to the exercise. At the end of any judged exercise, for example, individual judges’ lists are assimilated into one publishable list, further adding a degree of whim, taste and fancy to the process. These lists are not the last word, but rather should be the first in selection. A key component of editorial calendars and other sponsorships in the outsourcing industry, rankings and lists can provide a service to communities by identifying players and trends. But let’s not delude ourselves; they are also a business imperative for publishers, associations and pundits to build membership and/or circulation and sell adverts, publications and reprints, playing on the sell side’s need for recognition. They generally make someone money! This is not necessarily a negative, but is rather the way the world goes around. What’s critical is that that which is editorial and that which is financial should be kept completely independent at all costs. Pay for play in any form must not be the modus operandi. And another problem inherent in list making is that the lists do not necessarily always evaluate the entire universe of sell-side providers or advisors. They often evaluate those who “opt in,” having deemed the application exercise a good use of marketing time and dollars to develop an estimation of market perception. Some providers and advisors determine that, for a range of business reasons, that inclusion is not beneficial at a moment in time because of business performance or the priority of other corporate events. Careful consumers of lists understand that the tallies are by no means exhaustive or inclusive of all offerings that may meet a corporate need, but merely serve as a boost to research. In the right context, sell-side rankings can be exceptionally useful tools. Between all the lists, most providers and advisors — established and emerging — are covered, providing some of the initial legwork to identify the universe of players. This enables the quick assembly of a short list for further desktop investigation. The rankings can also softly suggest relative movement of the industry over time. As provider/advisor positioning changes, factors such as market size, buyer values and performance may be implied. Sometimes corporate managers cross-reference their decisions through third-party opinion. Using a list to effectively support selection ex-post facto could be a good way to help outsourcing sponsors become comfortable with a value proposition or an advisor selection, especially when the consultant’s or provider’s brand is not yet a household name. Now comes the rub. When I was younger and absolutely intransigent on most issues, the family retort always was ‘who died and made you queen?’ By extrapolation, who is to say that one list is the absolute authority on the industry best and brightest? Are the publishers, the industry pundits, the academics, the consultants the last word? Each of us can at best see only the smallest piece of the puzzle, and the “truth” we trumpet, whether backed by the numbers of ballots, or the experiences on which we base our opinions, is in the end only perception at a point in time. Watching the debate in a range of media--blogs, articles, private conversations, and analyst calls-- is certainly a distraction from the day-to-day hardships of this economy and this industry, but it takes me back to my school days, watching Tommy Brennan beat the dickens out of Karl Kurth on the playground of Cumberland School. At the end of the day, it’s a completely useless fight because of the inherent and unavoidable biases in lists--- no matter how every list maker beats his methodological chest. The only list which ultimately matters is the client’s own ranking of advisors and service providers. Factors such as process scope, geographic reach, value proposition, qualifications of the team customer approach and performance record...these are just a few of the criteria that drive evaluation. Best advice as when reviewing the growing crop of lists — each to his own. 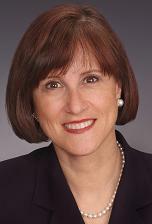 Deborah S. Kops is Chief Marketing Officer of WNS Global Services. You can email her direclty here with your views on this topic, or discuss openly on this blog. Deborah's comments are dead on target with one exception. One can infer the suggestion that outsourcing as a "relatively immature industry without one industry-wide voice, unlike the Royal Institute of Chartered Architects, or the American Medical Association", would benefit from such an industry-wide voice. This suggestion is problematic. We have seen how a single "industry-wide voice" has politicized and compromised the integrity of other industries - the ABA and the APA being cases in point. One should always be wary when faced with the prospect of consolidation and centralization of influence. At Gartner, I would frequently point out to IBM, my alma mater PwC and others they had single digit market share and I would get back analysis which showed - "but we have 40% of this cut of the market we choose to focus on". If anything in the 10 years since with offshore firms, BPO firms, cloud computing etc the market has gotten much more fragmented. I think lists are a good tool for clients and investors, but those that compile these lists need to disclose if the companies on the list are clients. Similar to the way financial analysts disclose if they are owning a particular stock when they recommend or report on it, the IT analysts should also disclose in the companies they are reporting on are clients. Anybody who has been around outsourcing for a while knows that any type of list, award or ranking needs to be taken with "a grain of salt". We've had service providers win awards where we weren't polled on their service and they weren't doing altogether that impressive of a job. Many websites and/or publications are influenced too much by those funding those sites. Lists should simply be a starting point for evaluating the current or future use of a service provider. One should get the opinions of experienced offshore practitioners for their expert and unbiaed advice. A good friend of mine in the marketing function was recently being particularly boisterous about his success in boosting his company’s image in a few such “list”s. My note of compliment to him read, “the difference between reality and market positioning (read - position in lists) is called marketing. If the difference is disproportionately positive in favor of the marketer’s company’s prospects, it’s called good marketing. Congratulations on proving yourself a good marketer.” The season of lists is in, especially of lists about outsourcing service providers of all hues and shades. Such lists however are also a good marketing tool for the publisher of the lists themselves, and there are some publishers who are only known best for their “list”. I hear Bill Huber, as he expresses his concern about the politicization of industry associations with specific examples. We need to remember that the AMA or RICA (as cited by Deborah) are in effect conscience keepers of single professions driven by a oath to a common code of ethics with a geographic scope as against an industry association which represent the many interests of a heterogeneous bunch of businesses. So no industry association will ever be as credible a validation source for professionals of a trade, the way the likes of AMA or RICA are to its members. However you hardly hear many criticisms against the rankings like Fortune 500 or SP 500, only because they have an established method of evaluation based on audited financial results. The focus in this argument is on the word “audited”. We will have more credible lists when we have a more widely accepted and practiced common methodology for auditing, “capability”, “potential” or “maturity” of service providers. In my view, (as says Deborah) buy side evaluators should scan through the “fine print” and pick up the list whose evaluation criteria has the closest match to their own. Or if one can request or buy more access to the background data one should look at scrambling evaluation data on participants from multiple surveys and build one’s own list. End of the day what is likely to drive a buyer’s decision the most is his or her personal experiences in doing due diligence with the providers who made it to the final cut. So go on, build your own and let a hundred lists bloom. I believe Deborah was very gracious by not explicitly referring to those entities whose lists, rankings and awards have tainted the perceived or real value of the industry's providers. Those of us who have been in the market for sometime now can easily identify the organizations who have handsomely profited from such point in time, pay-to-play assignments of value. The Catch-22 of our current industry state is this: In lieu of an attractive alternative, provider marketing organizations will continue to pour precious funding into the pre-existing ranking and rating processes. Thus, the cycle perpetuates itself. We don't like the lists yet many are afraid to not be on them. Until there is a collective halting of such spend, we can't expect the system to self-correct. In the interim, we can hold out hope that a better mechanism will emerge that is truly transparent, unbiased and effective. Until a more rigorous and credible approach to creating these "lists" is taken, we are stuck with these unscientific, clearly biased pieces of fiction. Buyer beware. Undoubtedly a more useful, fact-based assessment will emerge over the next few years but I find it hard to blame organizations that have promoted their business with "good marketing" in the absence of an alternative channel. Frankly, those marketers are doing their job. Now that the game is clear, providers should demand that the analysis become more rigorous and independent or the threat of new competitors will emerge to provide that. Derek's views - though a little strong - are largely correct. Lists make good marketing for service providers in a market where there is little else for them to use. If they don't like them, then they can get their clients to give them referrals, if they are so good! A good article, and touches on some excellent points. The technology business has grappled with "paid-for" publicity for years, however, people don't have time to read as many white papers or sponsored reports these days. Vendors need quicker and easier messaging to get their credibility across to their audience, hence their excitement of announcing impressive rankings etc. At the end of the day, it's all about credibility. A reputable association / accreditation / research firm that has proven expertise to rank or position vendors in a manner which makes sense will add value to that vendor. "We came #2 in some list noone really knows or understands" doesn't add a great deal of credibility. However, trusted "known" brands are much more effective. So the list-makers need to invest in becoming more trusted and credible, which ultimately means developing a methodology that is universally accepted, completely unbiased and incorporates expert opinion - and some common sense. I concur with my cohorts who have previously commented that by and large Deborah's points are well-articulated and resonate with most of us who have been involved with or been privy to rankings, in all facets of business. As an advisor to clients on sourcing and vendor management initiatives, my first-hand experience only supports the dubious and sometimes contrived nature of these lists. Last year, my company received an email congratulating us on being the top-rated advisor in some unbelievably vague and verbose category. We called the two gentlemen responsible for the list and asked them how they came to this conclusion and the data that supported it, especially given that our strategic sourcing practice was still in growth mode. To make a long story short, the response was "if we put you in the wrong category, then tell us which category to rate you the best and we'll do it." Our retort was how could you possibly do this without disturbing the integrity of the data since people who were supposedly polled would have assumedly had the categories to choose from? With that said, I do believe rankings and ratings do have a place in every line of business, especially in the global sourcing arena, and as with any piece of data or information must be assessed and evaluated by those that receive it. For those of us who have been involved in sourcing deals for 7-10 years now, many of the players in well-established locales are very well-known. I find the listing of vendors to be beneficial in areas of the world in which I myself are not as familiar, let alone my clientele. It is at the very least a starting point for evaluation and education. Lastly, to those that publish studies (as I have) and are the 'keepers of the lists.' To avoid the eventual discredit of the research you've performed, providing transparency into the data that was used to form the conclusions is a must. Without that, a list is simply just that -- a list without any known rhyme or reason. Readers beware. If you ever have questions about a list, do what I did and contact the researchers directly. In my opinion, choosing an appropriate outsourcing vendor is an intimate process that requires a thorough understanding of what the benefits of outsourcing, what it takes from both the vendor and the customer, how to structure the process, how to build and maintain a healthy relationship between the parties, etc, etc. Lists do not play a significant role in this, imo, albeit they do tell companies what vendors are out there. However, with a vast number of "international outsourcing boutiques" sorting through such lists can be a pain. I'd recommend taking advice from a 3rd party company that can evaluate "wants" and "haves" of both sides and come up with a creative proposal. I have a fairly low opinion of the current outsourcing provider lists out there. Mainly because of how general they are and the amount of due diligence the goes into creating them. However, they are definitely used by buyers, they don't influence final decisions, but are an easy place to get a list of potential partners to look at. As such, getting on the list is important to vendors. Unfortunately, jockeying for positions on lists is usually done by the vendors marketing department. Their only objective is to get on the list or move up on the list, not to provide accurate information to buyers, so they fill out the applications as such. So, the end result is often that the "Top 100 service providers" list, actually only shows which vendors have the most effective marketing department or influencer management program. This does not help the buyers who are interested in a list of who actually provides the best services. Also, to further overuse an over used analogy. If outsourcing relationships are like marriages, a top vendor world list is about as useful as a top 100 husband list. Just because one women thinks a man is a top husband, doesn't mean that man is right for every woman. My advise takes the lists for what they are and focus on choosing the provider that is the best fit for your company. There are always good "Lists and rankings" and bad ones. The actual parameter will be the robustness of the process of compiling the lists and the credibility of the agency that publishes the lists. The lists and rankings however do not substitute the need for a diligence on the part of the outsourcing company. In fact, quite often it may be appropriate for a client to choose a vendor who is not the "Best" in the lists because the client may not find a "culture" fit with the "best".. I have seen clients choose the "Best in Class" service providers for various services only to rue the decision as it did not turn out the way they had expected. Use the lists as a collateral and use own diligence as the prime criterion will be my advice. The lists define a universe of companies based on someone's broad picture, which gets defined into the evaluation parameters. None of the outsourcing lists, however have sufficient history and with an industry growth rate exceeding 30% ( at least on the offshoring side) , they are not likely to show consistent leadrers and that should not set anyone off. Because the evaluation parameters are infact defining a high level overview of an insider, they can provide at the most - good hints into what would be important to a buyer. TIn that, they would be of the greatest service to the buyers, but as ravi said elsewhere, they can not obviate your need for due diligence and analysis. I personally believe media companies alone may be a little swayed by emotional bias while industry analysts may be biased by technical parameters of the previous year. Thus, in the growth phase of the emerging economies who mostly provied winning strategies for these vendors, these lists would continue to be volatile. Given their information security concerns, not many may be avilable in the financial markets to use criteria like market capitalization, and diversified players l( infact industry leaders like Accenture and IBM) would not figure on these lists because of challenges in segmentally reporting the outsourcing turnover in such businesses. Many 'captives' are full fledged businesses on their own and are also available on research lists. I however would conclude that this does not take away their utility. Turnover is a good criteria and the NASSCOM list provides the most sustainable outsourcing list in that regard. Combining all these lists together in one stream is not a good idea because of the discontinuities these businesses represent and unfortunately though seminal work may have been done in this regard, it would be proprietary information of the buyers and vendors who did the same. Having an industry wide consistent list may not be possible for technical or marketing reasons and if the fear is manipulation of these lists then the same usually reflects on the publisher pretty soon just by word of mouth. These lists are discovering market trends as of today and definitely not prowess in marketing unless there is a reason for some to presuppose a conflict of interest or an ability to influence from outside which both unfortunately are detrimental to any list and are unlikely to be tolerated. As a marketer / PR guy, I can say Sergey's comments are most accurate. These listings are important to catch attention in the initial stages of a partner search. However, getting down and dirty about narrowing the RPF really needs to go to speaking with customers. Ask for the references. And ask for former employees to speak with. Contracts are very important too - almost as important as understanding what you need from a provider. Do you need T&M, set budget, is your project going to change A LOT and will your provider be blinded by dollar signs over change orders, etc. Make sure the IT, Biz and finance guys are on the same page right from the start (lots of issues to deal with if people are not going in the same direction). Most in the industry are acquainted with us as the co-authors of "The Black Book of Outsourcing" (the world's best selling book on the subject of Outsourcing for the past three consecutive years) and principals of Brown-Wilson Group which sponsors the "Black Book" Top 50 Best Managed Global Outsourcing Vendors "list" among others. We do not shy away from the occasion to open or join dialogues about the "Black Book" survey methodologies, even when our process is inferred to without direclty naming us. The fact is we do not just collect vendor "lists". We messenger research outcomes from actual client experience survey responses and use sophisticated audit and participation techniques to produce quantitative business intelligence insights. There are many exciting developments underway for the "Black Book" and our survey processes, which will strengthen user tools, increase "Black Book" visibility and access to survey processes, and enhance the outsourcing resources we provide. We look forward to more announcements shortly. Regarding this 2006 article rerun here, we agree with Deborah. It is all about the client perspective. That is what we survey, what we honor and what we report on. We do not function at the direction of the Outsourcing Vendor community, although we solicit and appreciate their feedback. Our role is to support Outsourcing Buyers, Investors and Users. If vendors are unhappy with their survey results, we recommend they put the processes in place to improve their client experience scores for future years'surveys. Each year, we provide FREE vendor classification rankings & reports(Domain such as ITO or BPO, Industry specific, function specific, Market size specific etc). As a testament to its popularity with Long & Short Listing RFP & RFI issuers and prospective users/buyers of Outsourcing Services, "Black Book" has had over a quarter million website visitors and requests for our free vendor rankings in the last year. We are confident that such goodwill will truly improve the level of trust and understanding among clients, advisors and vendors within the entire industry. Our open revenue model is to provide research detail by KPI and competitive top performing vendors. However, NO purchase is ever required to access our vendor and/or advisor rankings and NO Report is available for purchase until the list rankings are publicly released to avoid conflict of interest to accept payment prior to list results. Custom reports which meet the exact research needs of outsourcing buyers, prospective users, investors, analysts and/or competitive vendors are our most popular deliverables. We have published our methodologies, opened our system to the inspection of press, employed external auditors and provided millions of dollars of free research to improve the delivery of outsourcing client experiences over the past five years. This July after the mainstream media coverage on "Black Book", we have been overwhelmed by hundreds of new outsourcing user inquiries, synergistic proposals, global business development opportunities, and incredibly gracious support, for which we deeply thankful. As many are aware, The Wall Street Journal and BusinessWeek, on the same day in July, included article on "Black Book". Links are available on our website below. The BW article which proclaimed our "meteoric rise" in the outsourcing industry also mitigated our praises with methodology questions of three major outsourcing vendors (all top "Black Book" performing companies through the years). It was immediately recognizable to us that the Survey Methodology was not being accessed or reviewed by these vendor marketing and PR leaders. It was also not our most flattering article, but we appreciated the fact that "Black Book" has become such a vital part of the global outsourcing vendor & advisor selection and quality improvement processes to attract such mass media press scrutiny and coverage. We take our position of trust by outsourcing buyers and prospective users very, very seriously. Regarding the one BW article, we have submitted a Letter to the Editor, to run in an upcoming issue, as well as an extensive document which will be abbreviated for their "Corrections" section. We were disappointed with those article parts which were clearly incorrect. For instance, we had faxed the original signed copy of our adjunct teaching agreement with Syracuse University's Outsourcing Management Institute, and a statement from the dean who executed the agreeement prior to the story's run. Despite the evidence to the contrary, it was clearly ignored for the sake of the story angle. We have provided the same documentation to the few who knew differently than the article presented. The Wall Street Journal article, which was run for another year on the Top 50, had all the "Black Book" methodology and support data provided for their article construction, and completely focused on the client experience results. In a pre-scheduled presentation opportunity in mid July, the "Black Book" Survey Methodology and the past four years of "Black Book" data sets were made transparent to a record setting call-in attendance. We have also dispatched several thousand sets of the survey slides since the event at the request of our site visitors. Further, "Black Book" methdologies have been available for download off our site since 2005. Since the Wachovia event, the "Black Book" Methodology has been been downloaded over 1100 times in just a few weeks' time. If after reading through the simple methodology anyone has questions, we welcome the requests to discuss and instruct further, to better explain participation, results, KPIs, scoring and rankings. Again, we welcome inquiries, discussions, and the chance to improve "Black Book" services as we expand our offerings. We experience the exact same infrastructure challenges as do all high growth firms and sincerely thank every friend, site visitor and client for their supportive loyalty, encouragement and respect which has truly touched and inspired us.